The blog has been relatively quiet for a reason. December is a big month for me, not only do I have Christmas to contend with I also have my birthday – a mere week before Christmas itself. I’m exceedingly lucky in the sense that these days are kept separate and I get proper celebrations for each one. This year was no exception (bar some minor irritations but we’ll gloss over them) and I had a wonderful birthday. I got some lovely gifts – although due to timing I didn’t get to open them until 9pm. I did get an exceedingly nice lunch out, cocktails and dinner so I was kept busy during the day. An Ashford Kiwi 2 spinning wheel from J. The level of conspiracy needed to acquire this though seems to have been somewhat excessive; given my extraordinary (and extremely irritating) ability of being in the wrong place at the wrong time. Like say when emails and text messages come in between the co-conspirators… or actually working in the shop when it is delivered. That kind of thing. It was still a surprise though…. I thought the big box was Lego…. Tags: birthday, celebrations, Christmas, kiwi, wheel | Permalink. Another p/hop acquisition – Noro Transitions – a curious yarn. One of the commenters on Ravelry describes it as ‘horrible yarn put together from floor sweepings I think’. I do not necessarily hold with this statement entirely (note the entirely). 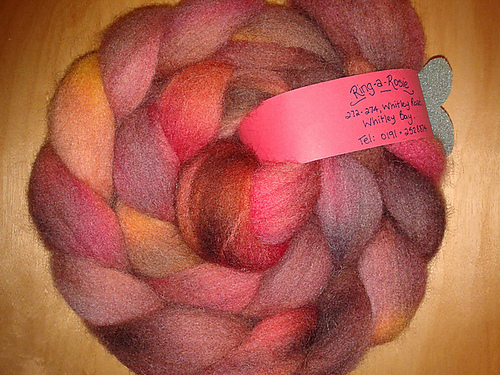 This yarn truly is a bit of everything – 55% Wool, 10% Silk, 7% Alpaca, 7% Angora, 7% Cashmere. The first part of the skein was… how shall we say… interesting. Lots of very short fibres, with what I suspect was the silk. The overall shade of this section jarred somewhat with the rest of it. So I did some careful editing. I discarded the first section and another short stretch from the middle of the skein which also resembled the first part. Once those odd sections were eliminated, what was left was about 75g of lovely tonal grays and browns, with a couple of stretches of more opalescent colours on a gray background. Very nice! The nicest stretch was the one I think is angora – soft, fuzzy and a beautiful pale gray. I wanted something simple to show off the fibres and the colours, plus a pattern which would work with the limited yardage. I decided that a neat-fitting cowl may offer the best proposition. Propitiously the new issue of Knitty (Winter 2012) came out and included a pair of slip-stitch socks (the Chimaera pattern) which used this stitch technique to help soften and blend the colours in variegated yarn. Following the set of the Gap-tastic cowl I’ve knitted previously, I cast on an odd number of stitches (67) on 8mm needles, and k1 sl1 in circles until I ran out of yarn. The odd number of cast on stitches ensured that I could just keep knitting without need to check rows and that all stitches which were knitted on the first row were slipped on the second and so on during the subsequent rows. It still needs blocking, but I have a lovely cosy little cowl. Which is also reversible. Tags: cowl, fibre, fo, noro | Permalink. We are immensely grateful for the support you have given us this year by sending us emails, connecting on Facebook, and most importantly by ordering our patterns and knitting exquisite projects! At Tin Can Knits we share our love for knitting by bringing you designs we adore and in-depth tutorials to expand your skills. 2012 has been extremely busy and fruitful for us – we published 2 new books : PACIFIC KNITS and GREAT WHITE NORTH (a whopping 26 designs, all available individually too) plus some fabulous tutorials : Gramps top-down sweater series, POP blanket tutorial, and Sweater Sizing Tips. We do our best to give you want you want, and with that in mind, our gift to you this Christmas is one free pattern of your choice! Browse our patterns on our website or on ravelry.com, click to order your chosen pattern, then enter this coupon code: SHARETHELOVE at checkout, and voila – you are the happy recipient of one free Tin Can Knits pattern! But before you begin the (pleasurable) process of choosing your gift, please take a second to do one thing for me – SHARE THE LOVE by forwarding this email to your friends, knitting group buddies, and favourite yarn shop owner – so they too can choose a gift and check out our fun-to-knit seamless designs in sizes from baby to grandpa! 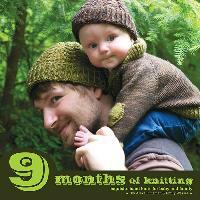 THE SMALL PRINT : this coupon is valid only until January 1st 2013 – so get your pattern and cast on now! We hope you enjoy this little Christmas gift – we would love to hear back about what you chose and how your projects turn out. Wishing you oodles of Joy, Luck, and (knit) Satisfaction in the upcoming year! Tags: giveaway, knitting | Permalink. Using the entertainerly named Balls Up! pattern available for free on Ravelry. I had a couple of foam balls from my Grandma’s stash (no idea what they were for) which were a good size. So baubles they became. The second casing was a bit small for the foam ball so I just used stuffing to fill that one. They worked out better than hoped too. And they are currently adorning our Christmas tree. Tags: Christmas, december, decoration, fo | Permalink.